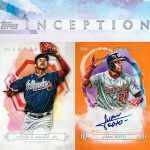 Blog Homepage \ Baseball \ Product Preview: 2018 Panini Elite Extra Edition Baseball coming this December! 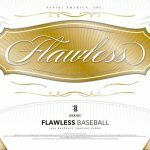 Panini America has released information on their annual winter release from the diamond – Elite Extra Edition Baseball. 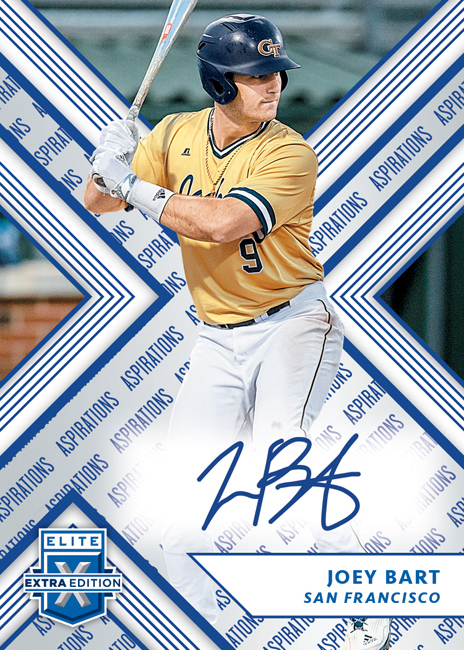 Coming in December, and boasting base cards numbered to 999 or less, 10 different parallels printed on 7 different substrates and an autograph lineup featuring the top prospects from USA Baseball as well as the Dominican Prospect League. let’s take a closer look at what’s in store in just a few short months. 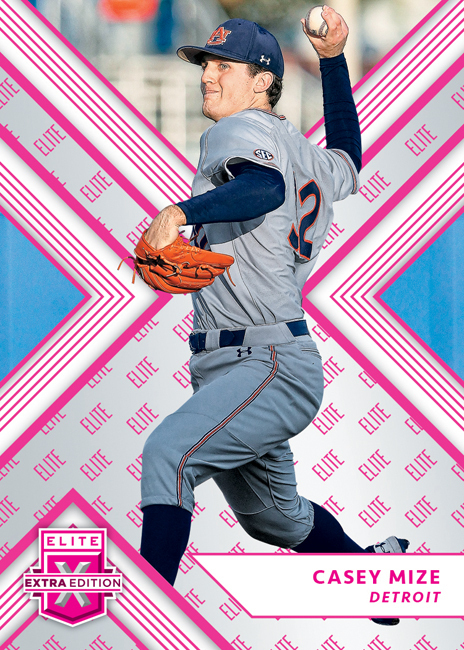 Each hobby box of 2018 Panini Elite Extra Edition Baseball should deliver eight autographs, two memorabilia cards and five numbered parallels. 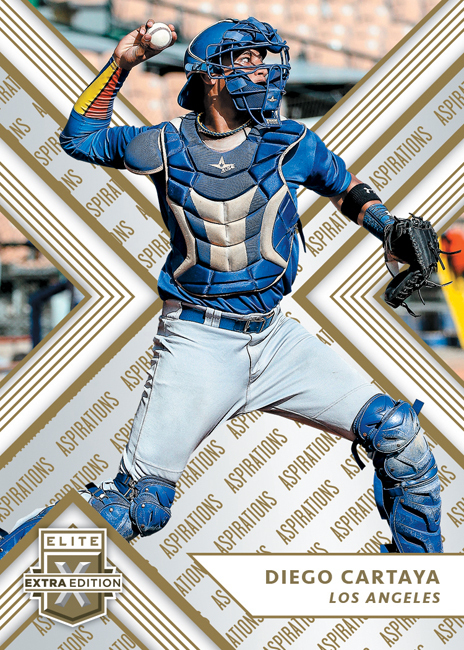 Dominican Prospect League players are exclusive to Panini America and will be found in the base set as well as the Autographs and Future Threads Silhouette Autographs sets. Future Threads Silhouette Autographs honors the game’s future stars with base versions numbered to 299 or less. Look for Gold (#/99 or less), Red (#/49 or less), Purple (#/25 or less), Emerald (#/10 or less), Blue (#/5 or less) and Holo Silver (1 of 1) parallels. There will also be new Dual Silhouettes featuring a top prospect and two oversized pieces of memorabilia. If two wasn’t enough look for Triple Material pairs which has three memorabilia pieces, there are also seven unique parallels to find like prime material versions, etc. 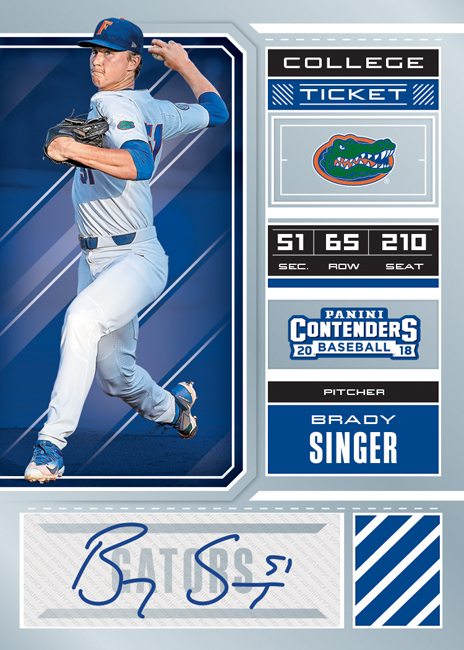 The first appearance of the 2018 USA Baseball Collegiate National Team can be found in USA Collegiate Tickets and USA Collegiate Silhouette Autographs. Collectors can also find 2018 18-under and 15-under USA National Teams in National Team Signatures. 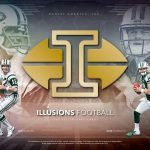 Look for a variety of signatures from players in the Autographs, Autographs Aspirations – Purple (#/100 or less), Blue (#/50 or less), Tie-Dye (#/5 or less), and Gold (1 of 1) – and Autographs Status Die-Cuts – Red (#/75 or less), Emeralds (#/25 or less), Tie-Dye (#/5 or less), and Gold (1 of 1). College Tickets Signatures features autographs of the game’s future stars in their college uniforms. 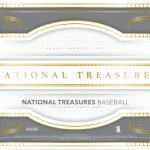 Base versions are numbered to 99 or less and there are three parallels to be found – Holo (#/25 or less), Gold (#/10 or less) and Gold Vinyl (1 of 1). 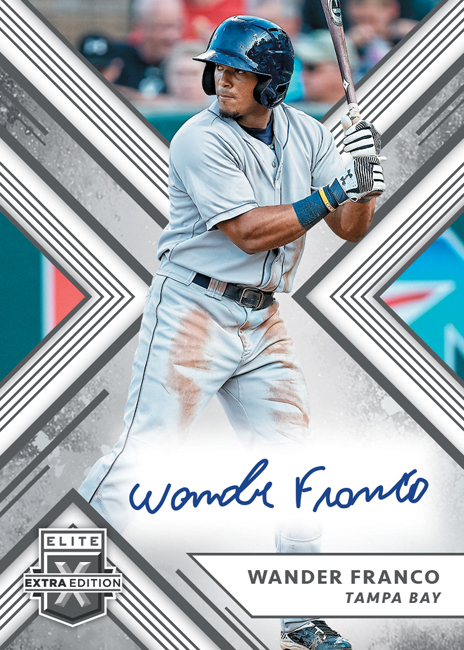 2018 Panini Elite Extra Edition Baseball looks to be another hit among prospect collectors. 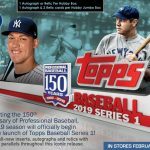 This is always one of the key sets to chase future superstars and legends so lock in your presell price today – boxes (5 cards per pack, 5 packs per box) and cases (20 boxes per case) are now up for order on our website! 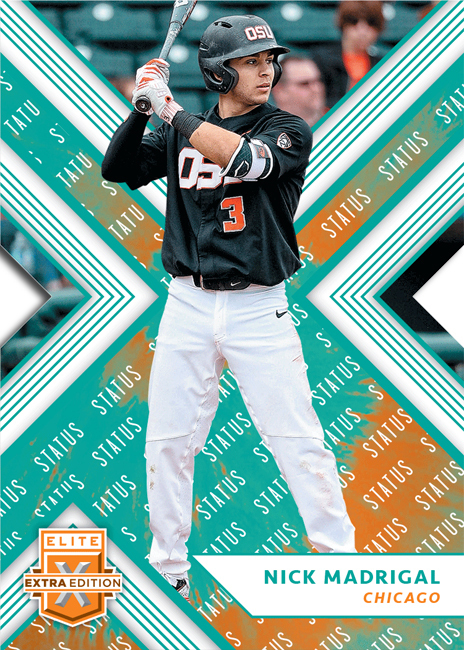 Elite Extra Edition Baseball is scheduled to debut on Wednesday, December 5th.